Read Your Invitation to Rise Up, Sister from Idelette’s heart here. We are not called to be wallflowers or silent observers. We are called to Rise. We are called to Dance towards Redemption. We are called to Sing Liberation Songs. We are called to Speak Hope and live out of LOVE. We are not meant to be bystanders in the redemptive work of God. We have a biblical imperative to participate in God’s liberation movement in our communities, our churches, our families and our world. How do we get off the sidelines and into God’s jubilee campaign? How do we join God’s liberation march? It’s time to Rise Up, Sisters. 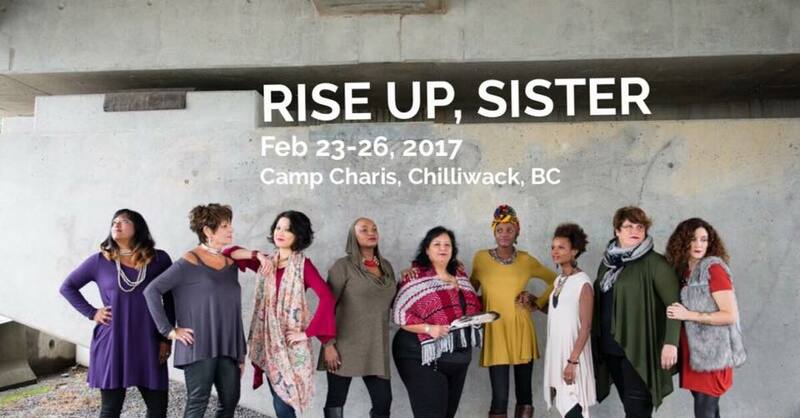 We are thrilled to invite you to our first weekend-long SheLoves Conversation entitled, Rise Up, Sisters. WHO: Idelette McVicker and Kelley Nikondeha have been dreaming about a space where women can engage in meaningful conversations together. We have invited Lynne Hybels, the original Dangerous Woman, to lead us in conversation, as well as our Nakota Cree sister Kallie Wood. You will also hear from our friends Sarah Bessey and Tina Francis Mutungu. WHEN: Thursday evening, Feb. 23 (around 7pm) until Sunday, Feb. 26 around noon. WHERE: Camp Charis is in beautiful Chilliwack, British Columbia, Canada. It’s about 2.5 hours from Seattle, WA and 1 hr from downtown Vancouver. BC. Camp Charis is located at 51935 Hack Brown Rd, Chilliwack BC V4Z 1L1, Canada. Please note: There is limited registration. We want to keep the gathering small (about 120 women), so we can have meaningful conversations together. We also intentionally chose a destination location, so we can enjoy meals together and have ample time for dangerous conversations, laughter and friendship. We can’t wait to gather, dream and be together. Since 1975, when Lynne & Bill Hybels started Willow Creek Community Church, , Lynne has been an active volunteer in the compassion ministries of the church. She has served with ministry partners in Chicago, Latin America, Africa, and more recently in the Middle East. 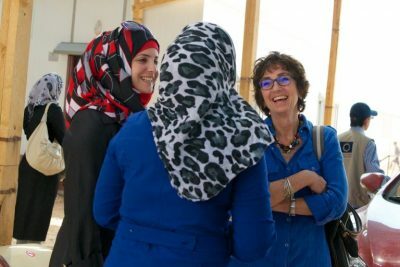 Increasingly, Lynne is partnering with women in conflict zones who are committed to reconciliation, peacemaking, caring for refugees, and creating a better future for their children. Lynne is actively engaged with a grassroots organization, One Million Thumbprints, which raises awareness and funds for women suffering from the violence of war in Syria and Iraq, South Sudan, and the Democratic Republic of Congo. In recent years she has traveled repeatedly to the Middle East to meet with Syrian refugees, Iraqis displaced by ISIS, and Israeli and Palestinian women working for security, dignity, and peace for all the people living in the Holy Land. Lynne and Bill have two grown children, Shauna and Todd, one son-in-law, Aaron Niequist, and two grandsons, Henry and Mac, who run the family. 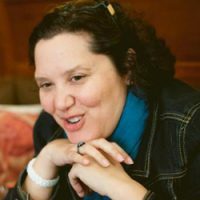 Kallie Wood is Nakota Cree of Carry the Kettle Band First Nation in Saskatchewan and is the Indigenous Director at Briercrest College and Seminary and Executive Facilitator of Converging Pathways Consulting. She is a mother to three beautiful children and a kookum [Cree meaning grandma]. 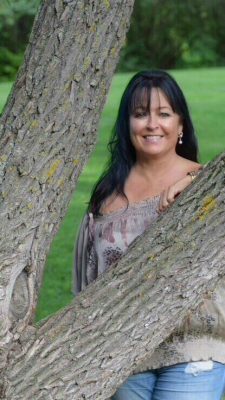 Her role engages, inspires and allows opportunity for staff, faculty and students to move forward in understanding Indigenous culture, spirituality, and history. She is a fun-loving firecracker of a personality, but has her feet planted firmly on Mother Earth. 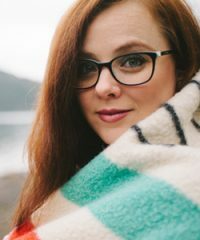 Kallie is a stimulating and rich communicator and her passionate, authentic, truth-filled and hope-filled communication is creating an expanding awareness of the Indigenous needs across the various cultural expanses of North America. She is constantly exploring new directions, in exciting, passionate new ways for Indigenous people. Her passion, vision, and empathy for her people is unparalleled. Kallie has facilitated and shared her story of loss of culture, identity, and spirituality across North America. She is a resilient survivor of foster care and assimilation and shares her journey of forgiveness, justice, and reconciliation, bringing hope towards a grander vision for our children and grandchildren, our leaders of tomorrow. Kallie is an advocate for promoting equality of First Nations in our economy, while upholding the rich cultural heritage of Indigenous people. I am a practical theologian shaped by education and experience, by rhetoric and theology, by the luminous beaches of the California coast and the vibrant rhythms of Burundian drummers. My own theology has been meted out in the context of a bi-cultural marriage and, as a result, a bi-continental family life. Among East African leaders, South African thinkers and Muslim friends, I’ve come to learn more about the Good News and dangerous ways of Jesus. I am ecclesiastically promiscuous, a life-long lover of the stories of Scripture and the works of Walter Brueggemann. I must add that I’m a woman continually recalibrated by the liberation stories of Miriam and Moses, the intoxicating poetry of Isaiah and the provocative parables of Jesus. I’m insatiable when it comes to Sabbath and shalom, the rigors and release of jubilee and the radical inclusion of the New City–where there is room for every tongue, tribe and nation to gather at long last. I am a practical theologian hungry for the New City. Tina loves to tell stories using photographs, emojis and words, if necessary. She believes in the healing power of sharing food and laughter around a table. 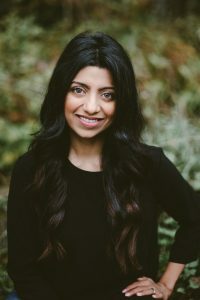 She considers India her Motherland, even though she was raised in Dubai, went to university in Langley, married a Zambian and gave birth to a Canadian in Surrey, BC. She’s learning how to be a wife, mother and friend to herself in this tender season of life. 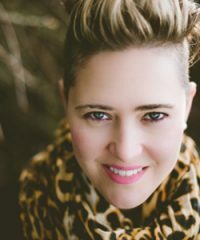 Idelette McVicker is founder and Editor-in-Chief of SheLovesmagazine.com. She’s lived on three continents and currently makes her home in Surrey, BC. Idelette is an immigrant, restaurant wife and mama of Gabi, Telah and Shay, as well as Cocoa, the Bernese Mountain dog. She was born and raised in South Africa where her eyes were opened to how insidious injustice can be. Thank Heavens she found Jesus around a breakfast table in Taiwan. She believes every person has a voice and SheLoves is where we dare to be a global sisterhood of empowered—maybe even dangerous—women who love Jesus, justice and living juicy. You can find her on Facebook at Idelette and on Twitter here: @idelette. Here we go! Let the women RISE. Virtual Tour with titles from Charis Camp on Vimeo. Due to our commitment to Camp Charis and the registration fees we have to submit to our host, we regret that we will not be able to refund any registration fees after Jan. 23, 2017.